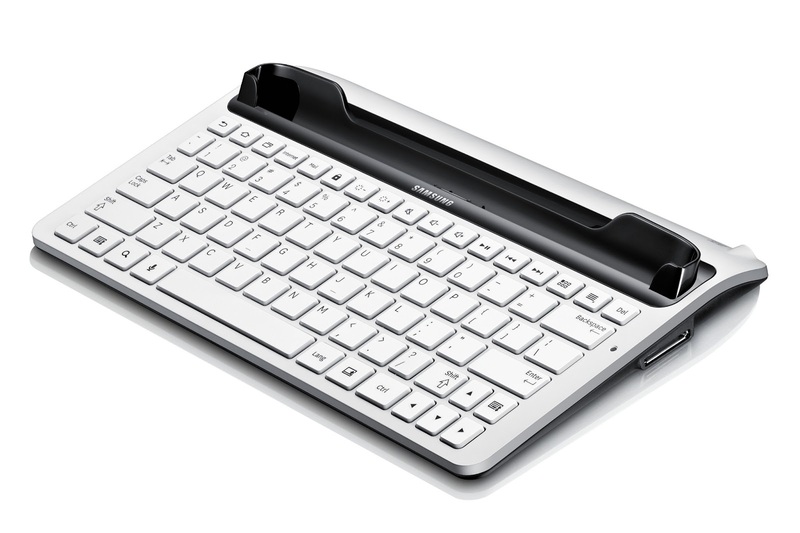 Samsung axe their keyboard docks for three tablets according to UK-based Clove. Samsung may well have create eight of the top ten Android devices which are currently in use, but it seems they are going to perhaps upset some more of their customers in the one department which they are not currently dominating and that's the tablet market. Clove, a company who offer unlocked mobile devices and accessories have confirmed that after a "post last week regarding building greater customer satisfaction by providing accessories (their post is interesting and you can find it here), Samsung have confirmed to us that they are no longer producing a popular keyboard dock for a range of their tablets." "We [Clove] have had a number of customers waiting for us to supply these docks, many of whom had been waiting since November... It has not been disclosed as to what ‘supply’ issues Samsung are having." These keyboard docks will apparently be replaces with two separate accessories, which naturally will be more expensive than the current option. Instead of a simple keyboard dock, consumers will be prompted to buy a Bluetooth keyboard and a tablet stand, this seems wholly unnecessary when there is a perfectly good solution which is in demand at the moment. We have been provided a part code and indicative price for the keyboard, but no images, description or dimensions. It sounds crazy but this is the truth. We find this extremely disappointing and believe a company the size of Samsung should be able to deliver such an accessory, especially as over the Christmas period there was a massive push on tablets with a cashback offer up to £50 and by all accounts this was very successful for Samsung. Those customers who have invested in Samsung and bought one of their tablets have now been limited by not having the keyboard dock. Whilst not all customers would want the dock, for professional users this was a very practical solution. Many customers would no doubt be happy to wait to a point, providing they were updated, but as with many accessories from Samsung there seem to be infinite delays. Samsung has had great success over recent months and it seems they are putting more effort into getting handsets out than getting the accessories that existing and new customers want. This is a strange situation, it's not like those tablets are at the end of their product cycle and they certainly weren't over the Christmas period while Samsung was busy pushing them with lots of cashback offers for people who wanted one of the tablets.